Smart use of remote monitoring technologies, along with a strong analytics back end, can substantially reduce the burgeoning burden of the non communicable diseases. Today’s run of the mill telemedicine has unfortunately failed at yielding strong benefits, as it has neither reduced the global burden of disease, nor sufficiently reduced the need for doctors at the point of care. The paper will start with discussing a comprehensive approach and platform tool kit for long term care, which will focus on health outcomes by utilising doctor’s expertise, established clinical protocols, and technology. The technology toolkit will consist of wearables and point of care diagnostic devices, mobile smartphones as the data gateway, and a cloud based data store and analytics engine. The “smart” software will consist of a comprehensive health management plan, regular monitoring with reminders, and health alerts based on data from various sources, and correlation between interventions and health outcomes. The analytics engine will provide feedback and recommendations to both patients and doctors. The model also allows paramedics to take quick action, thus reducing need to escalate to doctors, allowing the solution to scale easily. The paper will include case studies about how this type of a platform is being applied for remote management of patients with chronic conditions in USA and India, as well as rural population health management in Bangladesh. Ananda is Founder & CEO of Trackmybeat Healthcare, a start up company, which works in the space of remote healthcare. Ananda is the Rapporteur for the Internet of Things (IoT) workgroup for Health, for Telecommunications Engineering Centre under Department of Telecommunications, Govt of India, contributing to the creation of the IoT policy of the Government. He wrote and edited large part of the document on IoT for Health in India, which was officially released by the Hon’ble Minister of Telecommunications, Govt of India. Ananda has been an active member of the Continua Health Alliance – a global alliance, which was merged into Personal Connected Health Alliance, now under HIMSS (USA based), and received an award for his contributions in creating and driving standards on connected health in India. Ananda has worked extensively in telecommunications, and held the position of Chair of the interoperability committee of IP & MPLS Forum, a global technology forum, and helped enhance interoperability between various products, and eventually held the position of Vice Chairman. He has delivered technology tutorials and talks worldwide to help drive adoption of the technology. 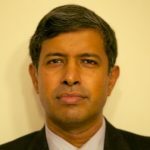 Ananda has worked with Agilent Technologies in USA and India for many years, and has held several senior leadership positions in Product Management and R&D. Ananda is an Engineering graduate from Indian Institute of Technology, Delhi and has a management degree from Indian Institute of Management, Calcutta.